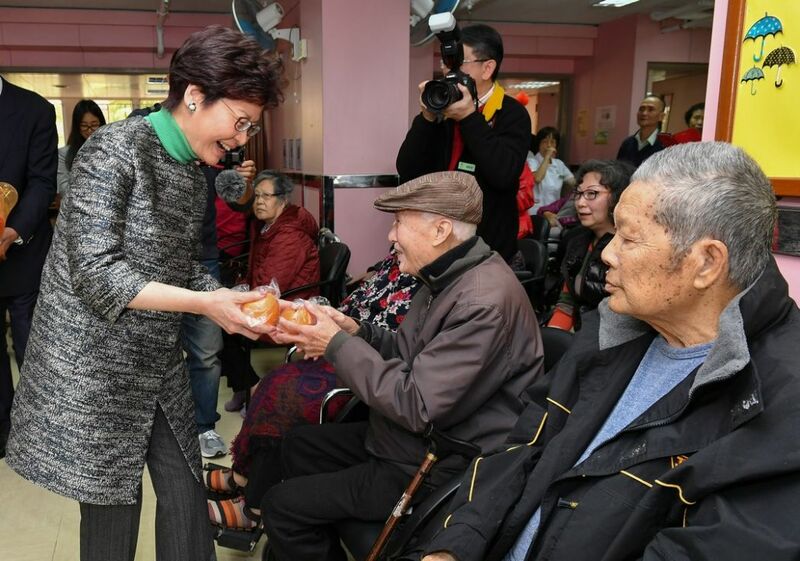 Hong Kong Chief Executive Carrie Lam has announced a concessionary measure whereby it will give extra financial support to elderly people between 60 and 64, following an outcry from lawmakers over cuts. 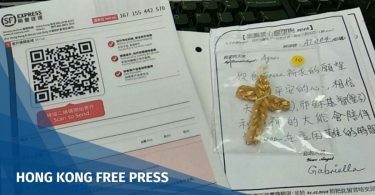 The new measure followed a controversial move by Lam to push up the age for Hong Kong residents eligible for elderly support under the elderly Comprehensive Social Security Assistance (CSSA) scheme from 60 to 65. As of next month, those aged between 60 and 64 can still apply for the CSSA for able-bodied adults, but will receive HK$1,060 less per month. 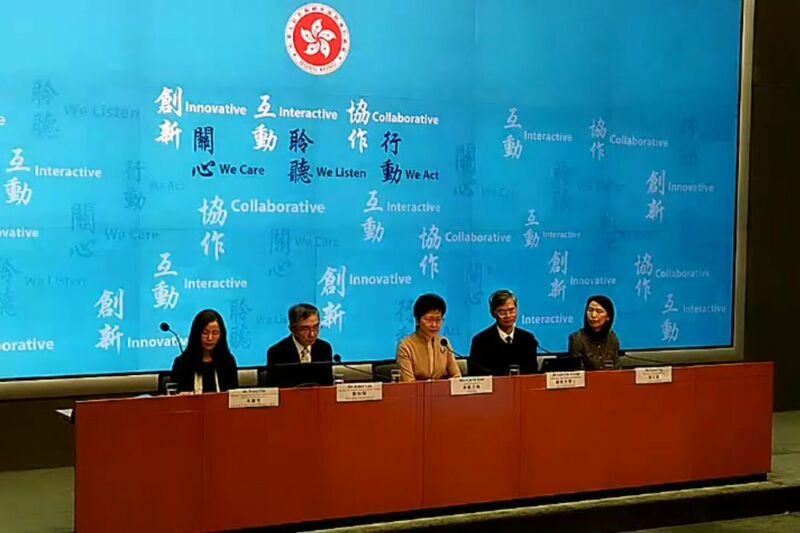 However, under the new “employment support supplement” scheme announced on Friday, elderly people between the ages of 60 and 64 – who apply for the CSSA for able-bodied adults – will receive an extra subsidy of HK$1,060 in cash from February 1. The amount will be automatically handed out to applicants. Last week, Lam sparked a controversy by saying that lawmakers had approved the age change in the government’s budget, which they denied. Social welfare sector lawmaker Shiu Ka-chun proposed a motion at the legislature urging the government to scrap the change in the CSSA scheme, and received support across the political spectrum when it was passed on Thursday afternoon. That evening, Lam met with lawmakers of the pro-establishment camp to offer the new measure. Carrie Lam (centre). Photo: Stand News. She added that there will not be any new administrative costs involved. 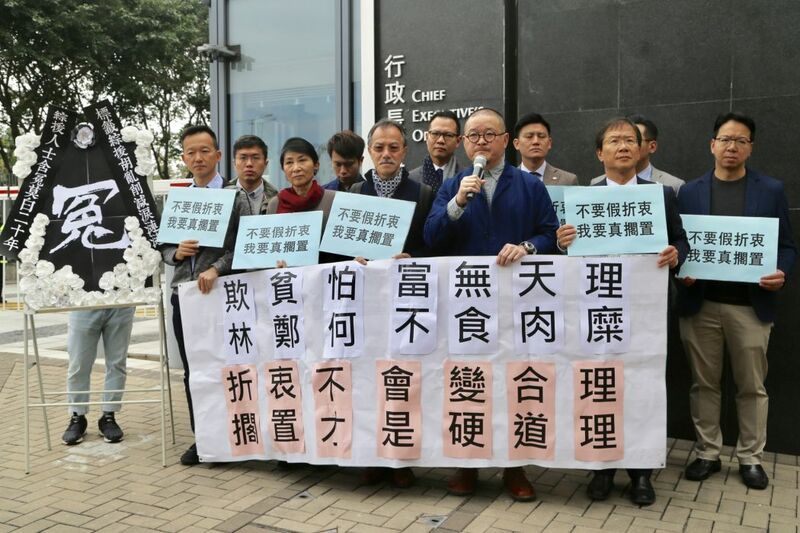 Eleven pro-democracy lawmakers marched in protest outside the government headquarters, saying that the new measure was unacceptable. Shiu Ka-chun said elderly CSSA not only gives elderly people more in cash, it also provides subsidies for items such as glasses and healthcare, amounting to around HK$2,000 per month. “It is a very important quality for leaders to admit their mistakes. Carrie Lam made a wrong decision to raise the age limit of elderly CSSA scheme, but she did not admit the mistake, and only made a minor concession,” he said. Shiu Ka-chun (with mic). Photo: inmediahk.net. 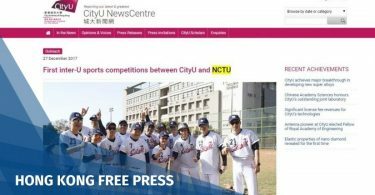 Shiu said he was furious that the government had not met any pro-democracy lawmakers before issuing the new measure, even though he was the one who proposed the motion at the legislature urging the government to scrap the change. During the 2018 budget, Hong Kong announced a surplus of HK$138 billion.